You’ll hopefully forgive me for the short posts this summer, it has been full of change and adventure. Also it is a bit more challenging to stay inside and write longer posts sharing life with you when I want to run outside and play! I know you understand as you are probably wanting to keep this part short, get to the recipe, cook, then run out and play too. I understand. Let’s make the most of the summers bounty, and make some more salsa! Thanks to Ca Avocado, I received a boat load of avocados fresh from California, for my kitchen playground. It was so much fun using these beautiful summer fruits for many recipes, more to come in the next few weeks! I am obsessed with tomatillos as I have shared with you from the beginning. And I have this version where I add avocados and you jump up and down in happiness, or that could be me. This is quite simple, you can broil or grill the tomatillos or not. Raw or roasted, this salsa is to die for. Preheat oven on high broil for 10 mintues, place the de husked tomatillos on a baking sheet, drizzle with 1 teaspoon olive olive. Broil on high for 10 minutes. Just enough to blister but not burn them. Toss the de husked tomatillos in 1 teaspoon olive oil, place on grill, close and blister for about 10 minutes, turn as necessary to blister all sides. 1. Peel the avocados, place in a blender or food processor. Add the tomatillos, chile Serrano, salt, pepper, cilantro, and lime. Blend until smooth. Somehow I haven’t eaten any tomatillos yet this summer! 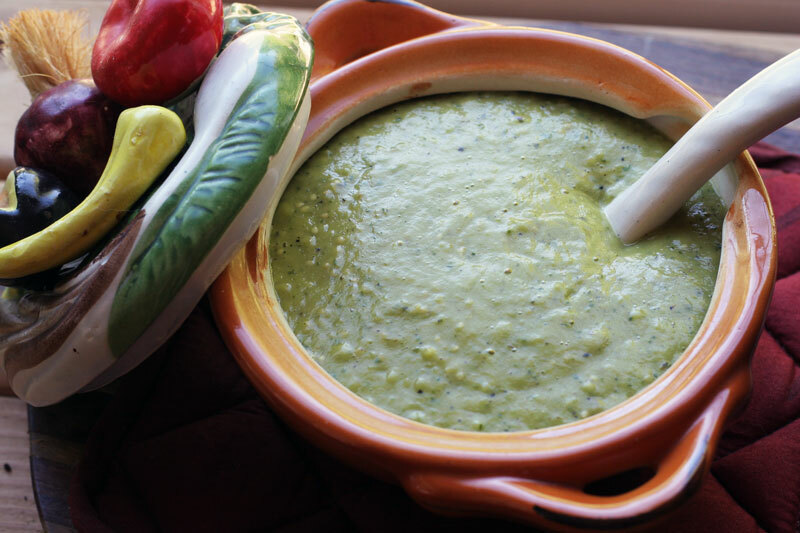 That’s going to have to change ASAP, especially because salsas verde like this are my very favorite. 🙂 Yay! And perhaps can some for the winter!